If you’ve been involved in a personal injury situation, you probably have questions about how much your case is worth, how the amount will be determined, and when you can expect to receive your money. But before you can worry about these things, you need to shift your attention towards maximizing your claim settlement. Depending on the factors of your case, the value of your case could swing rather dramatically. It should be your goal to maximize the payout so that you can receive the care you deserve. Whether it’s a car or truck accident, a slip and fall incident, or a defective product, each personal injury case is highly unique. The exact details of your case will determine the outcome of your situation, but here are some big-picture steps you can take to maximize your compensation. The last thing you want is to get in a he-said-she-said battle with the other party. For best results, save and document as much evidence as possible. Depending on the details of your situation, this may look like taking pictures, saving clothing and personal items, recording statements from bystanders, and writing down details so you don’t forget them. It’s time to go ahead and rid yourself of the notion that you can represent yourself in your personal injury case. Sure, you can technically negotiate with insurance companies on your own, but you certainly aren’t going to get as much money as you could with an experienced attorney on your side. This is especially true when you’re dealing with something like a car or truck accident, where insurance companies are well-versed in persuasive negotiation tactics. It’s critical that you understand your insurance coverages and how they work. Failing to do so could cost you dearly. The physical medical care side of your case is fairly easy to calculate. While there is some play in these numbers – especially if you’re expecting future expenses – it’s fairly limited. If you want to maximize your claim, you should focus on the emotional points of the case. Pain and suffering, anxiety, and other related issues all come into play in personal injury situations. Make sure you’re taking them into account when you come up with an amount for your case. While it’s tempting to speak out and tell others about your situation, it’s best to lay low and not do anything that you’ll later regret. This is especially true with social media. Even if you’re in a lot of pain at home, posting pictures that make it seem like you’re doing fine could hurt your chances of getting the settlement you deserve. Just be quiet and let your attorney do the talking. When you get a personal injury settlement, it’s important that you make smart choices with how to spend the money. The first priority is obviously current medical expenses and healthcare needs. Once these are taken care of, you should look for ways to grow the money so that you can care for future health needs (if it’s predicted that there will be any) and/or save for the future. The absolute worst thing you can do is blow through your settlement money on foolish things like a car, house, boat, clothing, or other sensational items that go down in value. 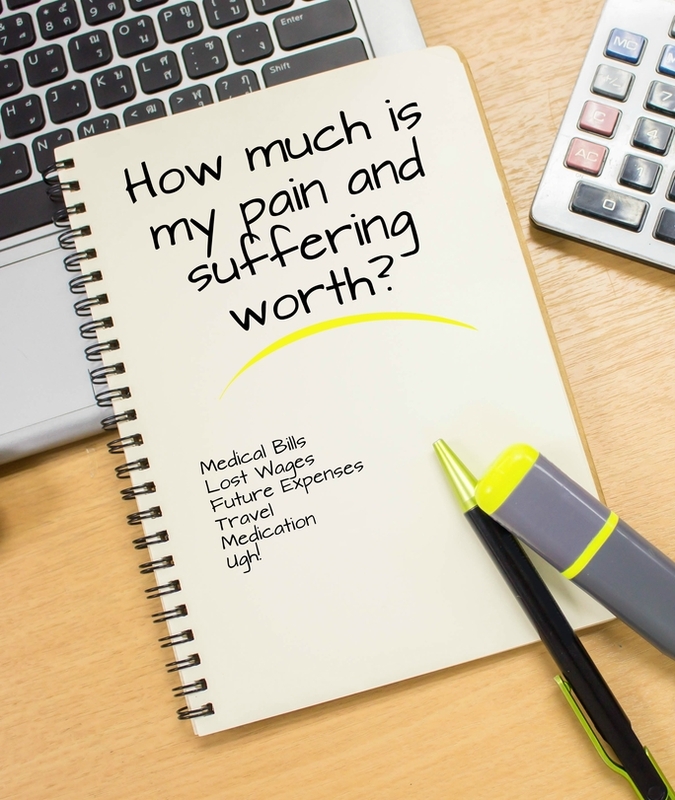 This money is designed to get you back on track and compensate for your suffering. Be responsible and treat it wisely.